The following was an experiment to see if normal people who didn’t really want to 3D Print anything would be motivated to start by using the platform. The following is an interview between Harnek (CEO of MakerFleet) and Linda Zhou (Community Manager at the Harvard Innovation Labs). Our post-interview notes are in italics. Linda: Well, you kinda asked me to and I thought what I made would be a cool present. I’ve never 3D Printed something before. I don’t think I need MakerFleet to start 3D Printing, but I figured that because it was so easy, I could do it. There was a glitch with actual emails. (Fixed soon afterwards). The timelapses were cool, but maybe too fast sometimes. 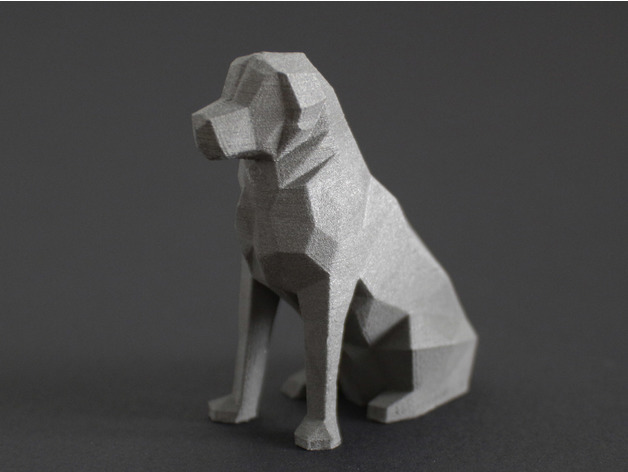 You printed out a low-poly dog for $8.02. Was that worth it? Kinda? If it could be a little less, it would be best. For me, it was cool because it was a present and I don’t know where else I could get something like it. I don’t know what else I could build that would be customized for that person, so I guess I would do it. We really needed to make the platform more user friendly (Linda was using a very early stage prototype, but her feedback helped us get the website polished). If our customer is not interested in building things, they’re more likely to be frustrated from the UI and bugs than startups like Accure Health, who have worked through worse UI and UXes. While we wanted everyone to be able to 3D Print, we understood that because Linda didn’t feel our product was worth the money, she wasn’t our primary customer. The infamous chart made by ou.edu that describes adopter categorization on the basis of innovation. In reality, while she didn’t dictate our most important features, her frustration of certain bugs allowed us to understand what a new user who hasn’t CAD designed or 3D Printed might feel when 3D Printing something. We knew that in the future, when we expanded from the early adopters to the early majority, her input would become increasingly important. We took into mind her UI changes and made the product much more user friendly, but her feature requests weren’t a priority compared to those who felt like the money was definitely worth it. Linda’s friend came in a couple days later and we talked with her, someone not connected to the process but with the product. She said she carried around her little plastic dog with her all the time and that she was super thankful for the present. To the customers of our customers, it seemed like the ability to receive creative, customized presents was heavily valued. This led to our detour into MakerFleet’s “Personalize” feature.